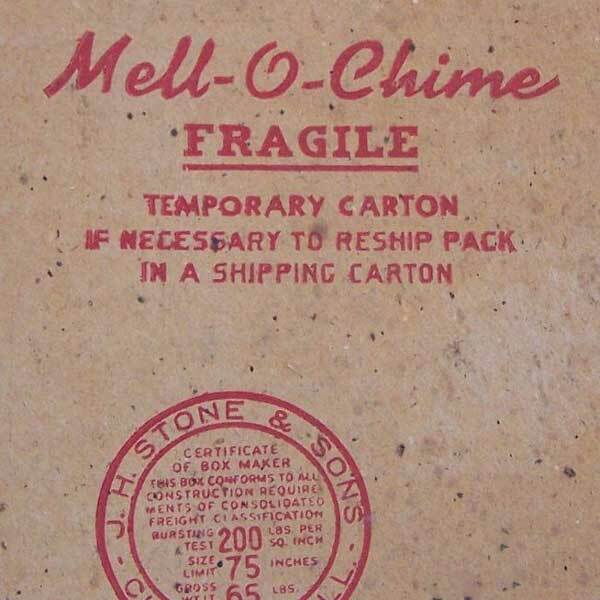 This vintage Mell-o-Chime doorbell came to the museum unused in a branded “temporary carton”. 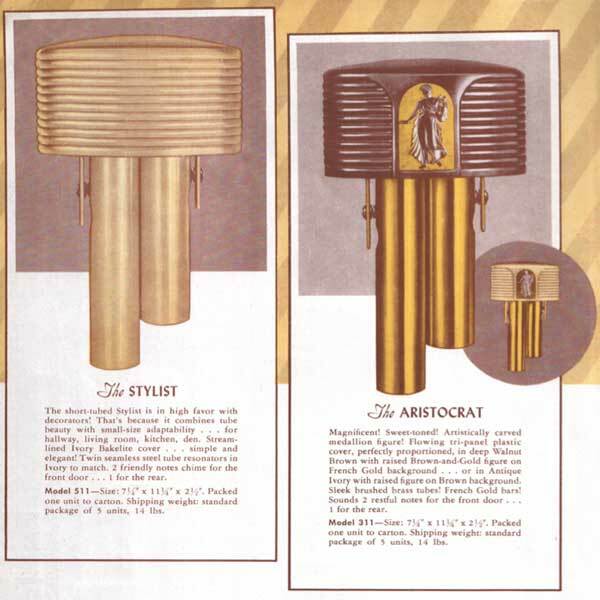 The Model 511 Stylist, featured an ivory painted bakelite cover with similarly painted resonator tubes and tone-bars. Streamlined chimes, such as the competing Nutone Streamline were generally white as in this example. Mell-o-Chime used a bakelite cover for this chime, and was one of the few companies to use a bakelite base for their mechanism. 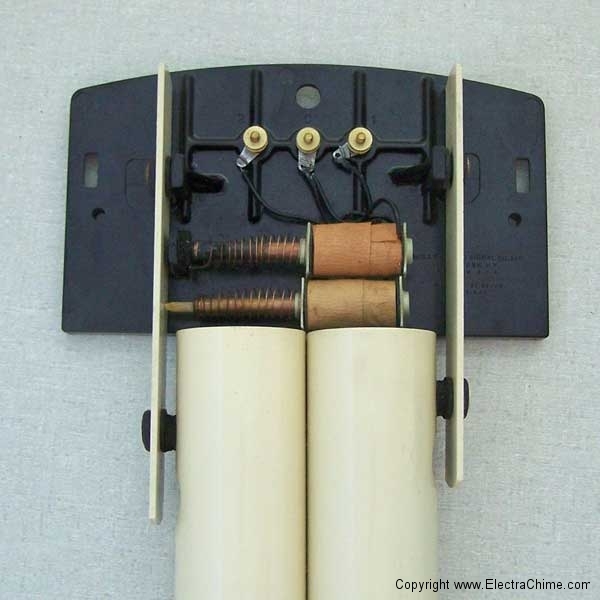 As with other doorbell manufacturers, and indeed most manufacturers, Mell-o-Chime used a variety of paint and trim packages in order to offer an extended line of door chimes. As shown in the gallery picture below, the Stylist shared many components with the higher priced Second Generation Aristocrat Model 311. The short-tubed Stylist is in high favor with decorators. That’s because it combines tube beauty with small-size adaptability—for hallway, living room, kitchen, den. 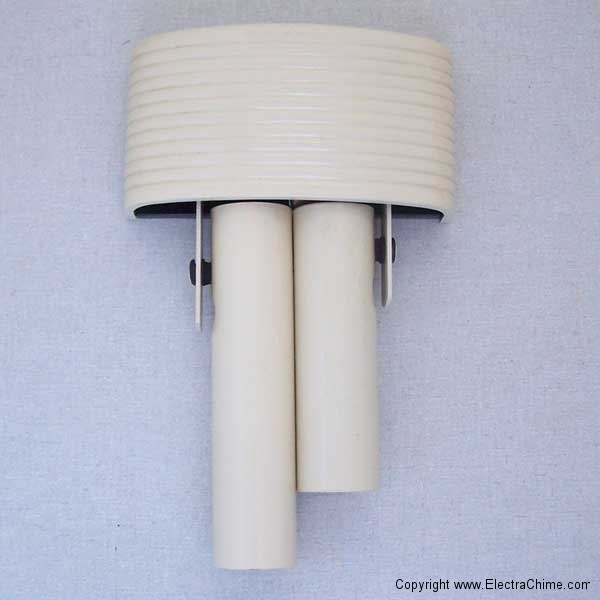 Streamlined Ivory Bakelite cover—simple and elegant! 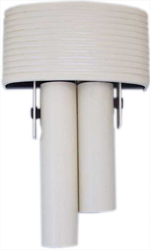 Twin seamless steel tube resonators in Ivory to match. 2 friendly notes chime for the front door—one for the back door. Materials Bakelite cover and mechanism, painted steel resonator tubes.